Yes, I broke the models again. 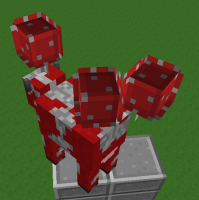 Mushrooms on the backs of mooshrooms display the "cubes" incorrectly. It seems to lack shading and display the backs instead of the front, bit of z-fighting.